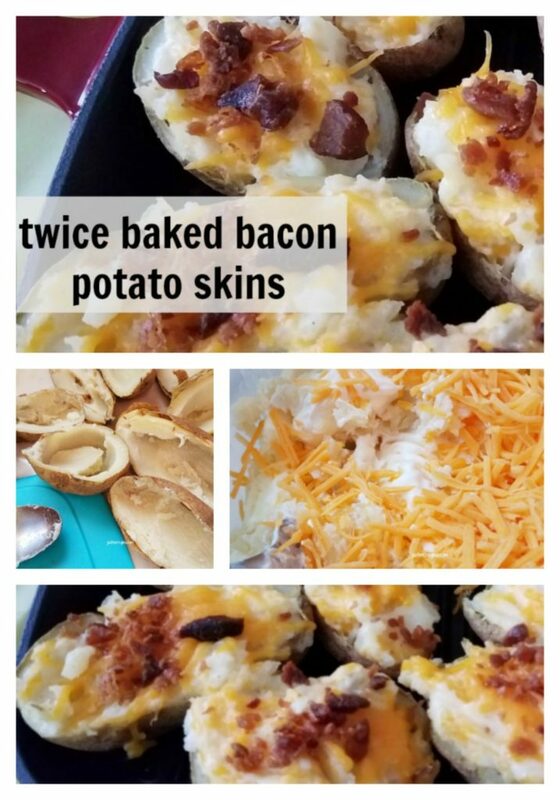 Twice baked bacon potato skins are delicious and easy to make. These are great snacks to make whatever you are celebrating. Birthdays, baby showers, football, basketball and those super bowl parties are great times to make these. 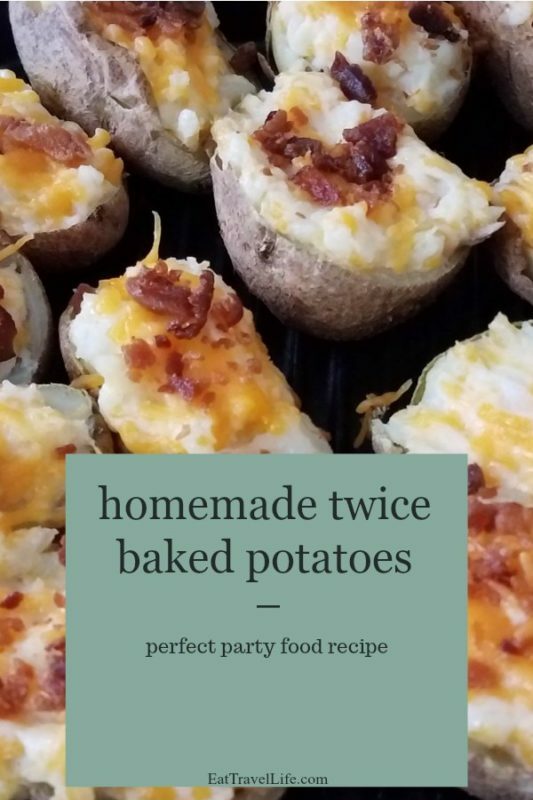 When you normally make mashed potatoes, you want to use the big potatoes. 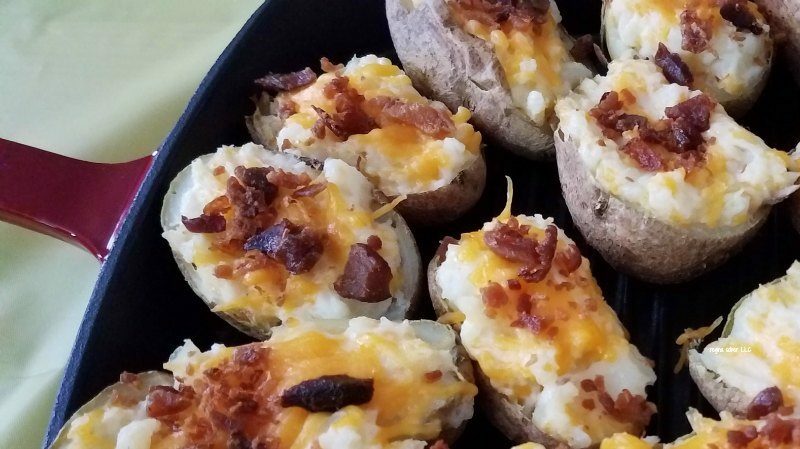 Twice baked bacon potato skins are the answer to ‘what do I do with these small potatoes’. 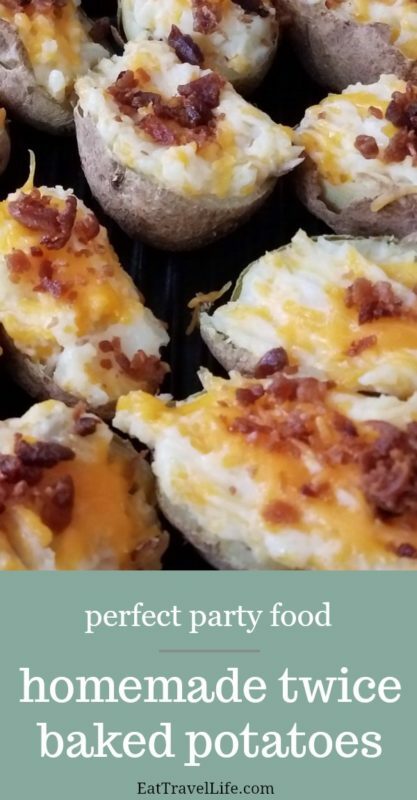 The smaller snack size potatoes are what you want to use when making them. You can serve sour cream on the side for people to add a dollop if they want it. You can even make some without bacon if you have friends who do not eat meat. 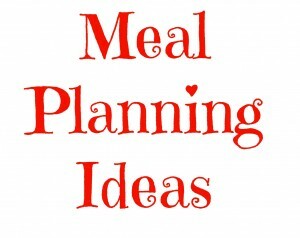 Place in oven and bake 20-30 minutes or until they are soft when you poke with a fork. Remove from the oven and allow to cool slightly (unless you are in hurry, then wear oven mitts for the next step). Cut the potatoes in half length-wise. 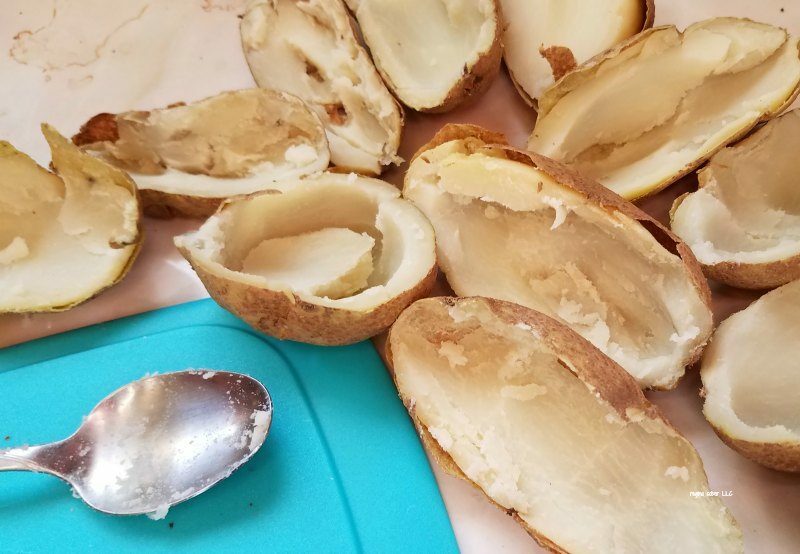 With a spoon, scoop out the potato and place the potato into a bowl, leaving the skins empty. Mash the potato until a smoother consistency. 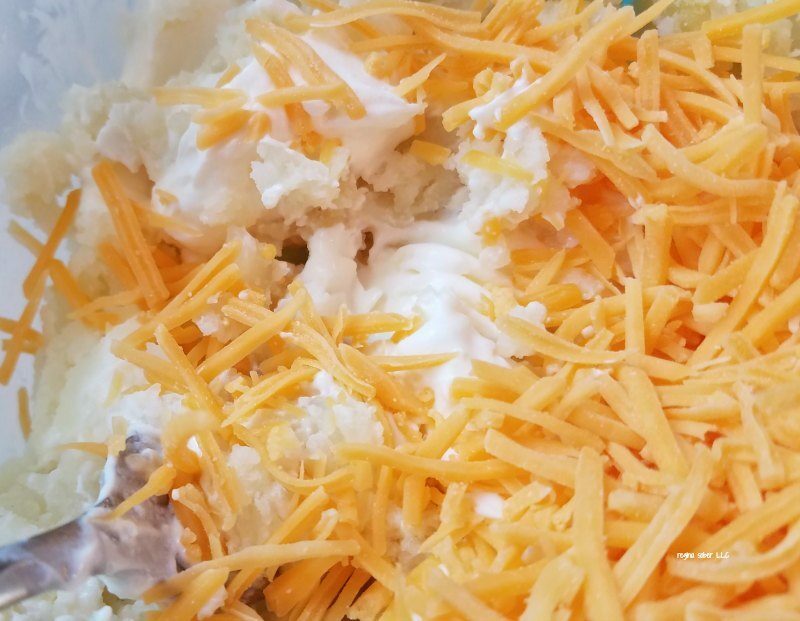 Add the 1/2 cup sour cream and 1 cup shredded cheese and mix thoroughly. Spoon the mix back into the potato skins, filling the potato skin slightly over the edges. Place the completed skins on a baking sheet. Sprinkle with more cheddar cheese and the bacon crumbs. Bake 5-10 minutes at 350 F until the cheese is melted. Remove and serve with sour cream.